Find out who lived and who died in the incredible story of the founding father who made America modern—and became the toast of Broadway. From soldier to smash hit, Professor Richard Sylla details the life and legacy of Alexander Hamilton in a new biography. 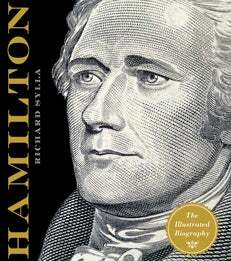 He portrays Alexander Hamilton’s fascinating life alongside his key contributions to American history, including his unsung role as an early abolitionist. An immigrant from the West Indies, he played a crucial part in the political, legal and economic development of the new nation: he served as Washington’s right-hand man during the Revolutionary War; he helped establish the Constitution; he wrote most of The Federalist Papers; and he modernized America’s fledgling finances, among other notable achievements. Professor Sylla brings the flesh-and-blood man—student, soldier, lawyer, political scientist, finance minister and politician—to life and reveals captivating details of his private life as well as his infamous demise at the hands of Vice President Aaron Burr.